Founder and Director of Oxford Opera Stuart Pendred has set himself a task no less than that of establishing an opera company which, whilst featuring the finest soloists available, at the same time creates opportunities for, as he says: “all of the creative talent that can be drawn from thehuge potential that the city holds”. 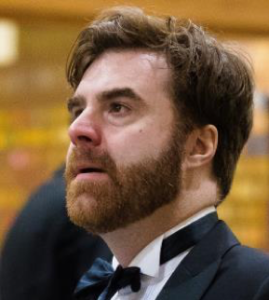 He believes that Oxford Opera can thus produce the best in classical performance at the same time as developing opportunities for the next generation of musicians and others who wish to be involved in this art form. A glance at the programme for this event shows that, even before the first performance, the project had taken its first, confident step on the journey towards realising such ambition. Complementing an impressive list of principal singers and the Oxford Chamber Orchestra we find listings for The Choir of St Hilda’s College Oxfordplus a specially convened opera chorus of students from The Cherwell School and a dozen or so primary school age members of MusicBox Children’s Choir. This community involvement added a fascinating aspect to the composition of the audience and thus of the unusual demands which would be made of the production. 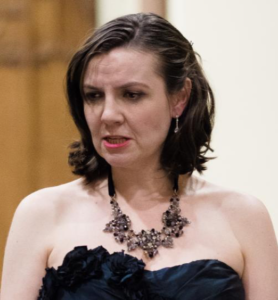 With no scenery or other trappings of conventional opera, would the performers succeed in engaging an audience which included a significant proportion of people who had never seen opera before and would probably never do so without turning out on this occasion as proud parents and supporters of those young singers? Meanwhile, the opera enthusiasts present would also have to be at least satisfied and hopefully impressed if Pendred’s objective of providing Oxford with “the very best opera performances possible” was to be delivered with any degree of credibility. Such was the task ahead for this emergent company’s inaugural evening at Oxford’s Wesleyan Memorial Church. could revel in the freedom of interpreting their roles with just the benefits of their own musical intelligence and experience in their craft. This being a concert performance meant that every member of the audience found that they were sitting not far from the action. This enhanced the impact which the principals made as they demonstrated their skills as actors as well as singers so that on this evening there was no such thing as a bad seat in the house. First among the set pieces was Cavaradossi’s aria in which he vows his love to Tosca. One knew that this would tell us so much about the interaction which might be developing between artists and audience. Things seemed to be going well enough in this regard up to this point, but then tenor Stephen Aviss mesmerised the audience with his delivery of Recondita armonia. For those opera buffs who had not heard him before, here was an important discovery on the Tosca block and for opera first- timers the collaboration of Aviss and Puccini created pure magic. Act I closes with Scarpia’s terrifying Va, Tosca! This needs more than just a good bass baritone to pull it off. It requires a real actor. Step forward Stuart Pendred! He is no stranger to this type of role, having for example delivered that of Hagen in Götterdämmerung for Longborough Festival Opera. Threatened virtually face to face with the ferocity of his delivery, the audience could barely tear their eyes away to read the projected translation, nor, in fact, had they any real need to do so. Pendred was able to draw upon his training and previous career in drama to deliver a masterclass in the art of transfixing an audience by generating a compelling display of raw, passionate evil. So what of the aim to create a company which provides access to opera for a new, wider audience whilst also “featuring the finest soloists available”? Nobody could challenge this first production on that account when you have the likes of Steven Aviss as Cavaradossi, or Andrew Rees in the minor role of Spoletta. The ultimate test on thisoccasion of course was to be the casting of the title role of Floria Tosca. When Lee Bisset turns out for the job you know that something very special is taking place as to how seriously this project is being taken by the opera world. For those in the audience agape with the experience of being hit with the combined effects of Puccini’s music, the excellent orchestral sound under Neil Farrow and with the performances of principals and chorus there was still another surprise. This was the immediacy and relevance of this piece to us today concerning the abuse of power. For Lee Bisset this opera could not be more relevant to real life and singing the role of Tosca is like a dialogue between art and reality. And so a new opera company is born with an ethos which is relevant to our times. 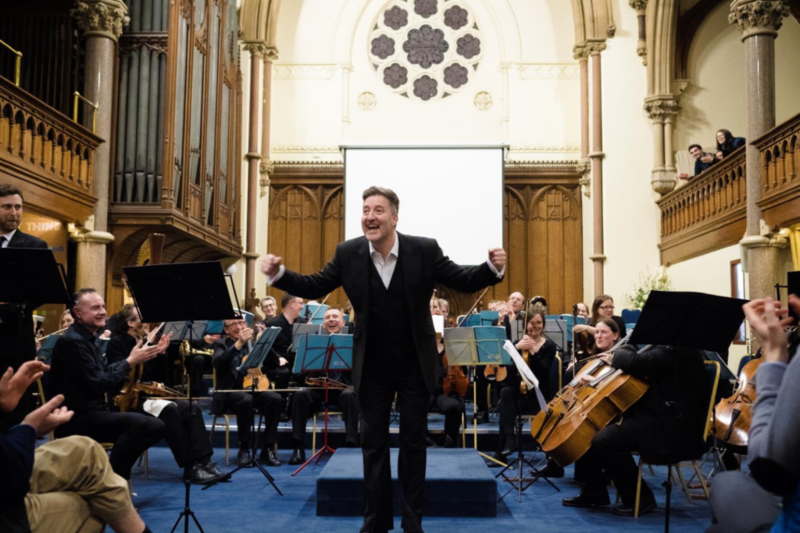 Already proving itself capable of delivering artistic results which hold up in the world of established opera, it is above all a company whose roots are securely fixed in its local community. As such Oxford Opera can look forward to an exciting future.